SURABAYA, Indonesia — Indonesian police fatally shot a militant and arrested 13 others Tuesday suspected of links to suicide bombings carried out by two families in the country's second-largest city. 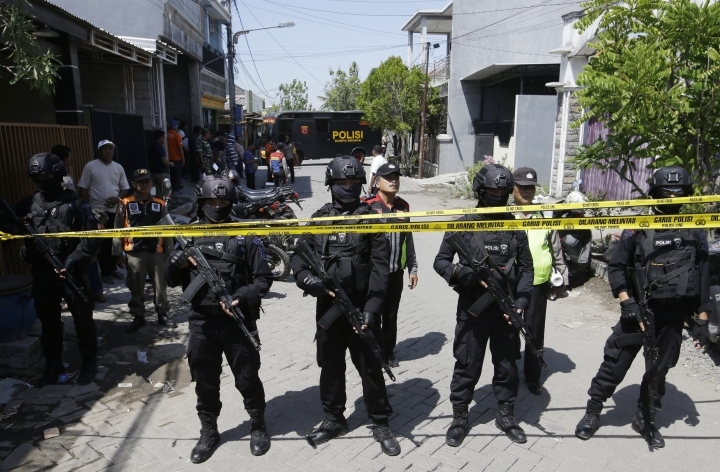 Surabaya police spokesman Frans Barung Mangera said the militant died in a shootout in a Surabaya neighborhood with counter-terrorism police, who had tried to arrest him over possible involvement in the attacks that killed at least 13 people. 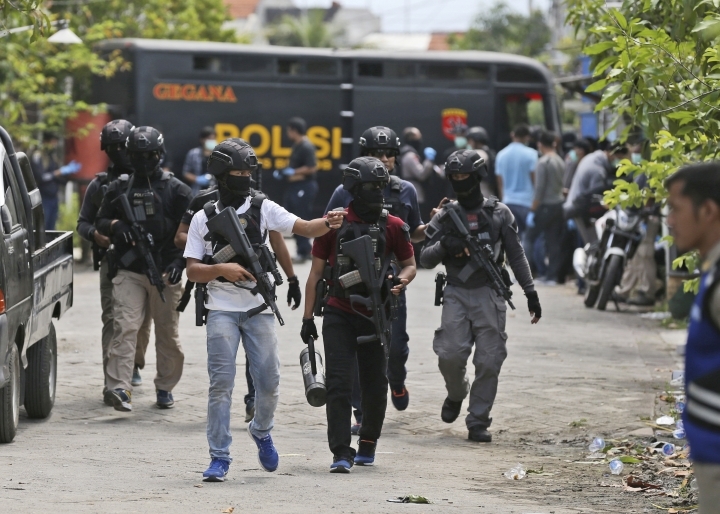 He said the arrests of suspected militants were made in raids in Surabaya and its neighboring cities of Malang and Pasuruan. 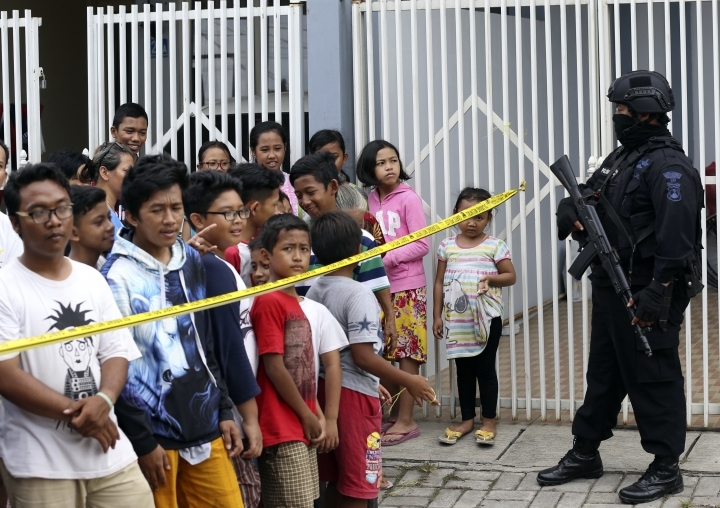 A second family bombed Surabaya's police headquarters on Monday. Their 7-year-old daughter survived the attack.